You may remember that last spring was a bit of disaster for blooms. My heart broke when my much-anticipated magnolia was frosted. Thankfully this year we did not get summer in March and had a traditionally cruel April with lots of hints at spring warmth, but very little actual sun. May has dawned and we are into full summer – bang – just like that. 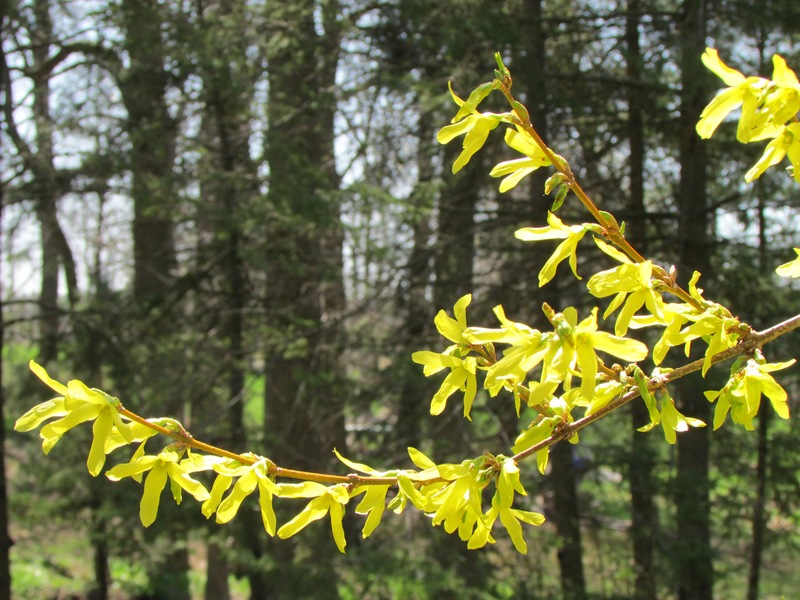 The forsythia is shinning and you can smell it all over the yard. 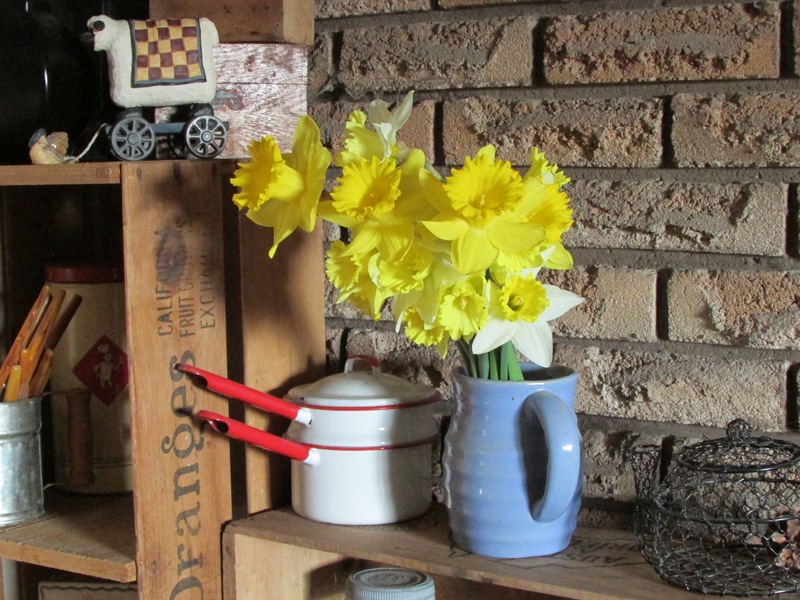 Inside I have a lovely bunch of Daffies to brighten the fireplace wall. And look! 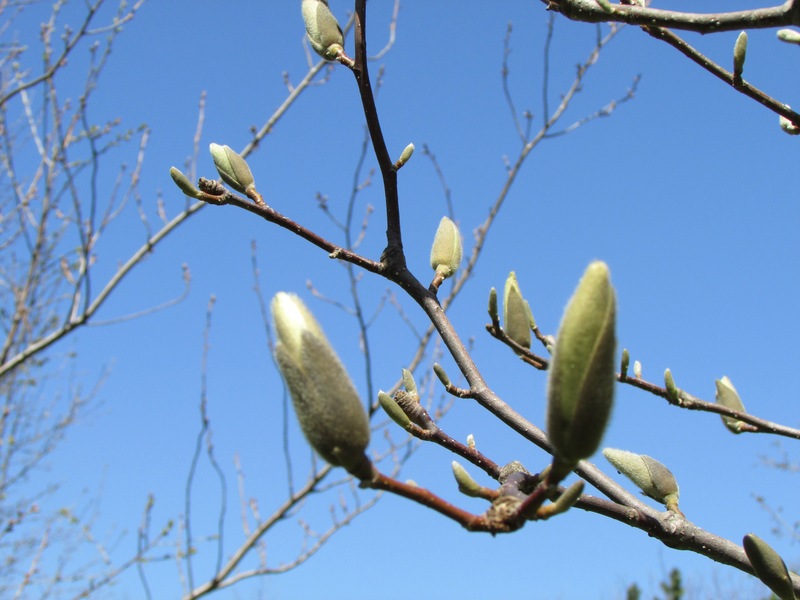 Buds on the magnolia! Stay tuned!! !